Get that Fish Back Down... because Floaters are NOT a pretty sight! A growing body of research reveals grouper, snapper and reef fish suffering from barotrauma can survive if properly released and quickly allowed to return to safe habitat. New release methods and fish descending gear are showing promising results. By increasing the survival rates of fish they release, anglers can help make Florida’s fisheries healthier and more robust. 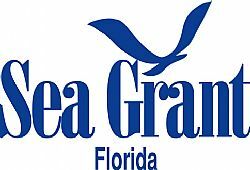 Join UF/IFAS Extension and Florida Sea Grant for a FREE webinar Wednesday, September 11, 2013 from 6:30PM-7:30 PM EST to discuss how fishermen can improve the survival rates of fish they catch and release in deep waters. Fishing guides, fishermen, conservation officers, educators, & anyone interested in protecting Florida’s fisheries. What's changed with the Gulf of Mexico venting rule?